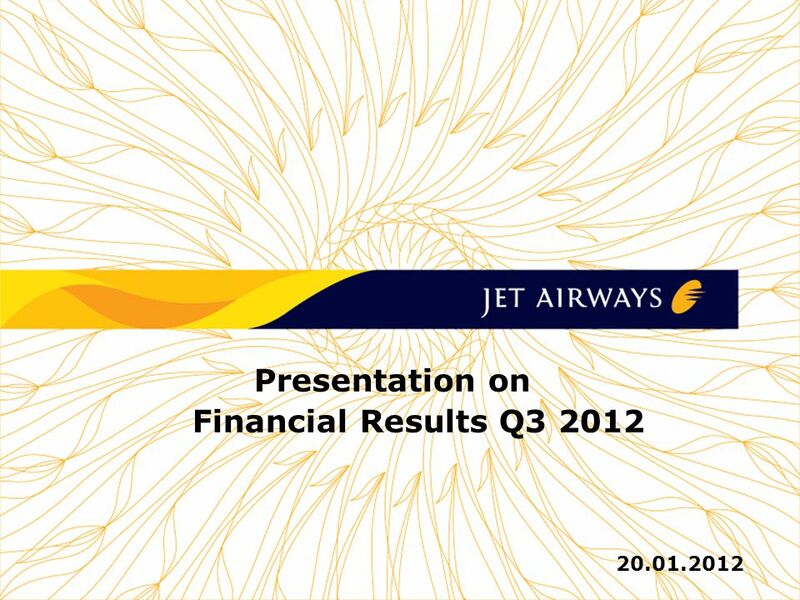 1 1 1 1 1 JET AIRWAYS (I) LTD Presentation on Financial Results Q3 2012 20.01.2012. 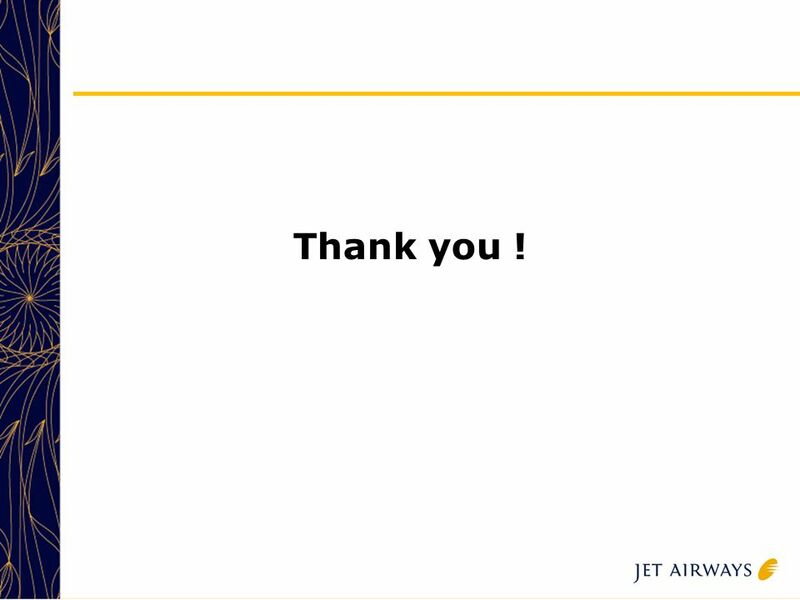 29 29 Thank you ! 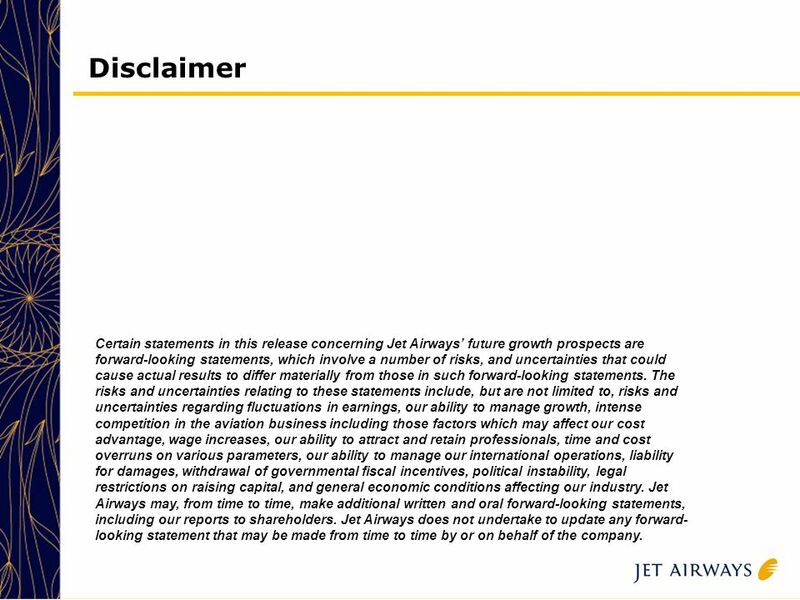 30 30 Disclaimer Certain statements in this release concerning Jet Airways’ future growth prospects are forward-looking statements, which involve a number of risks, and uncertainties that could cause actual results to differ materially from those in such forward-looking statements. 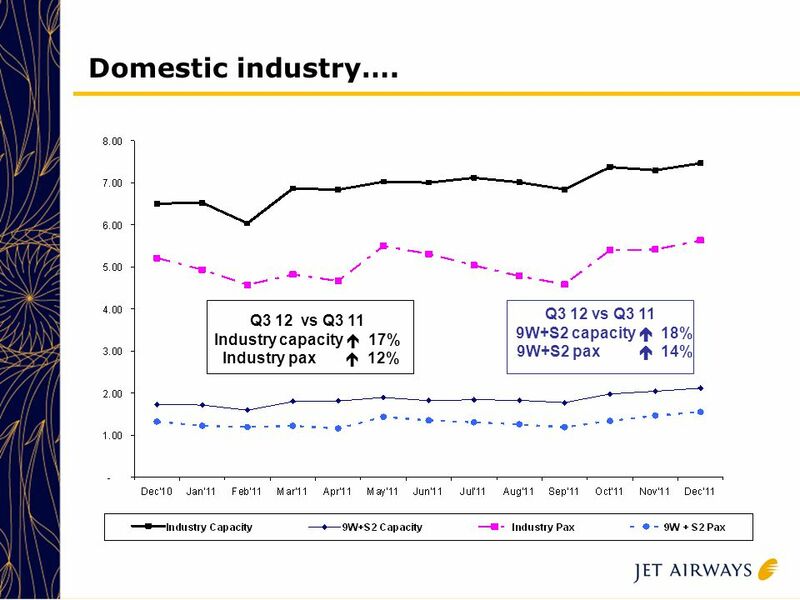 The risks and uncertainties relating to these statements include, but are not limited to, risks and uncertainties regarding fluctuations in earnings, our ability to manage growth, intense competition in the aviation business including those factors which may affect our cost advantage, wage increases, our ability to attract and retain professionals, time and cost overruns on various parameters, our ability to manage our international operations, liability for damages, withdrawal of governmental fiscal incentives, political instability, legal restrictions on raising capital, and general economic conditions affecting our industry. 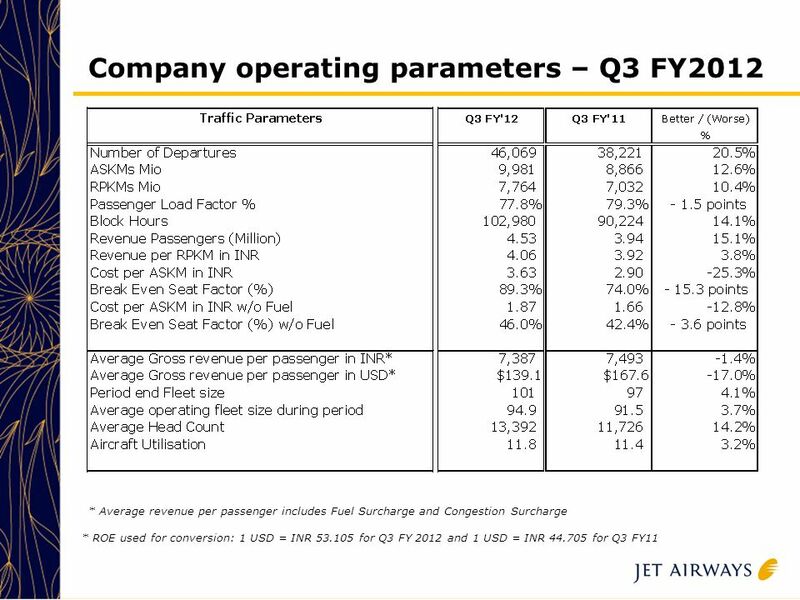 Jet Airways may, from time to time, make additional written and oral forward-looking statements, including our reports to shareholders. 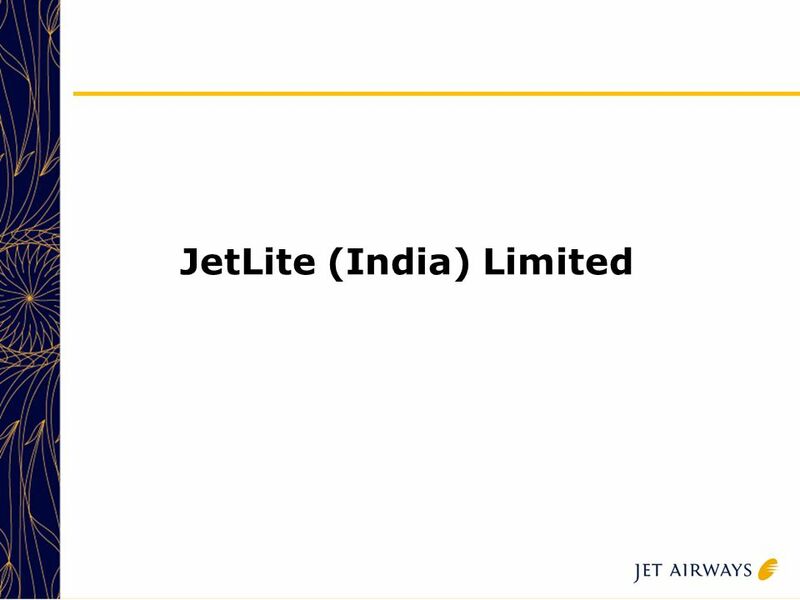 Jet Airways does not undertake to update any forward- looking statement that may be made from time to time by or on behalf of the company. 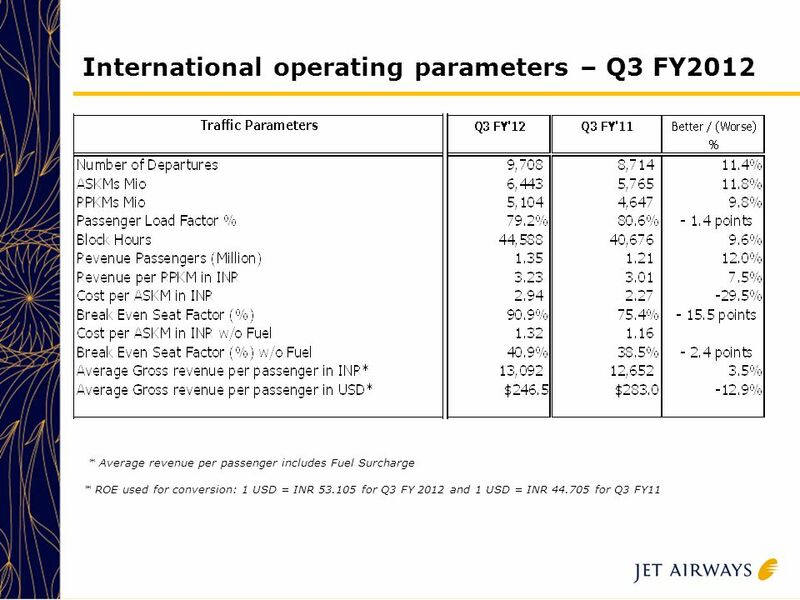 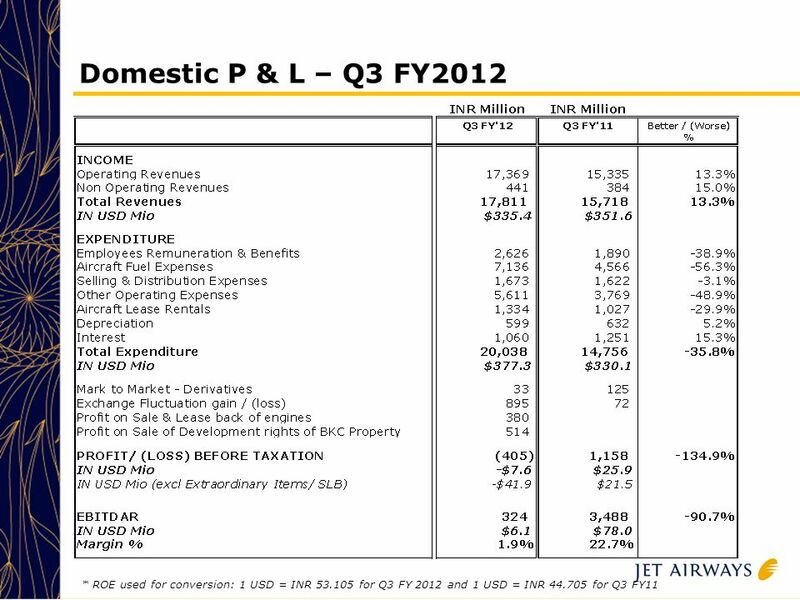 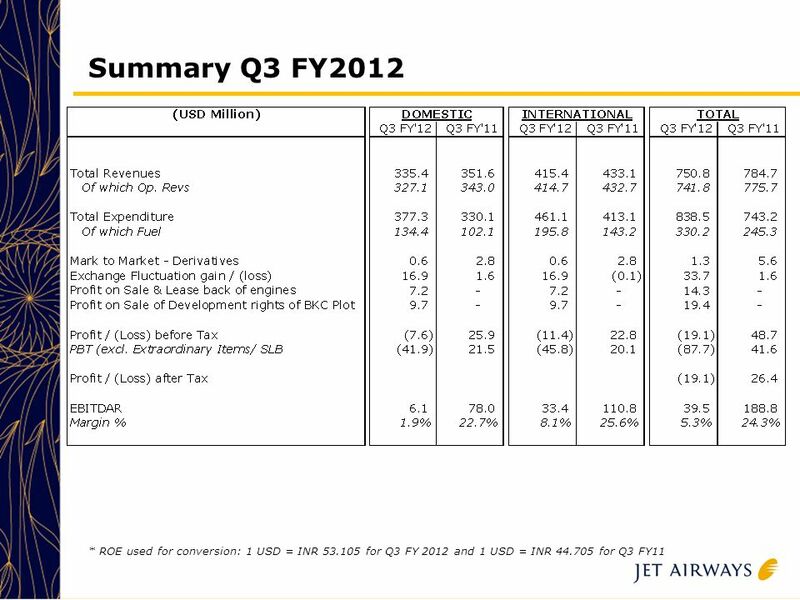 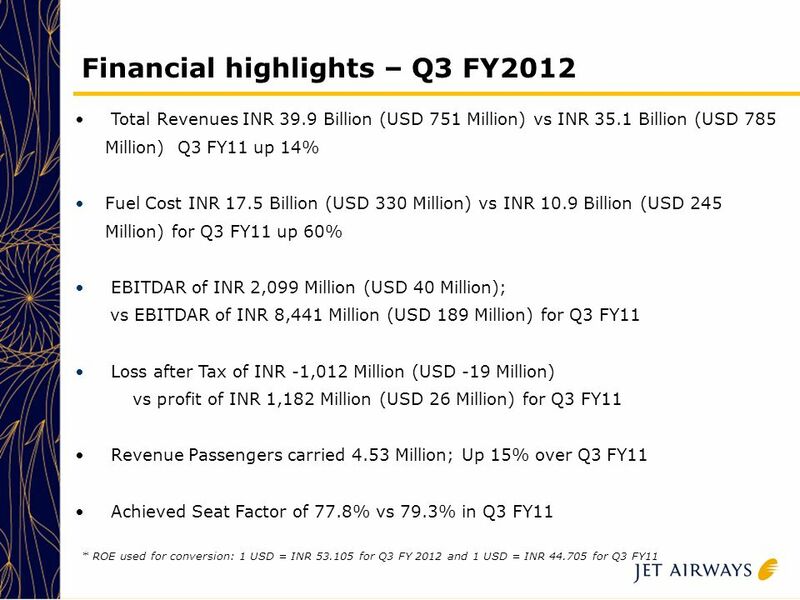 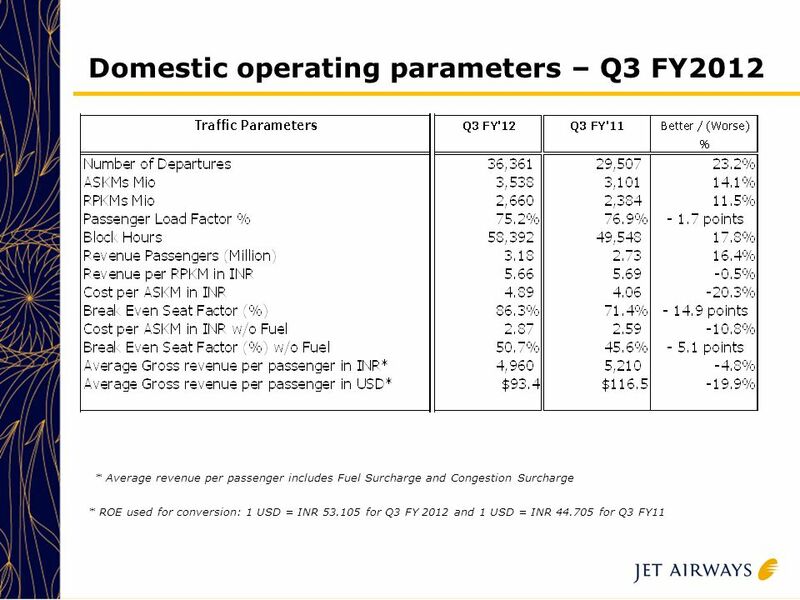 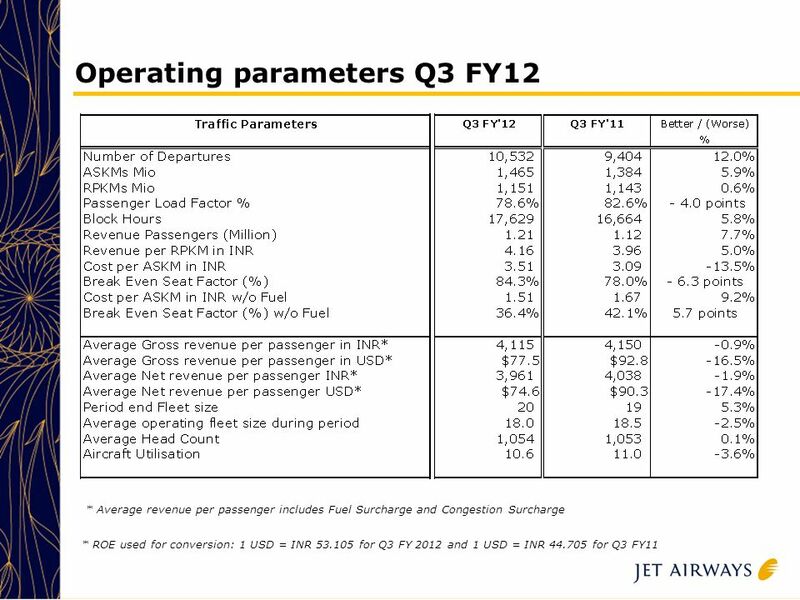 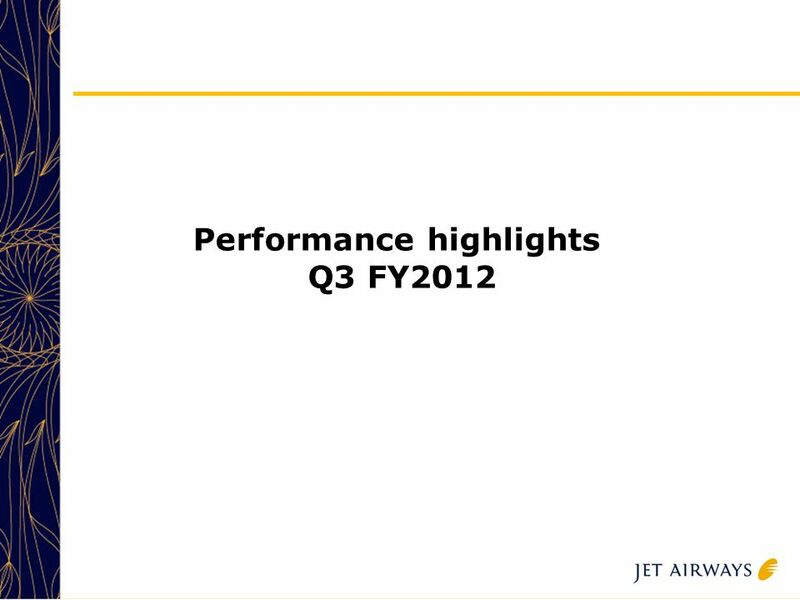 Download ppt "1 1 1 1 1 JET AIRWAYS (I) LTD Presentation on Financial Results Q3 2012 20.01.2012." 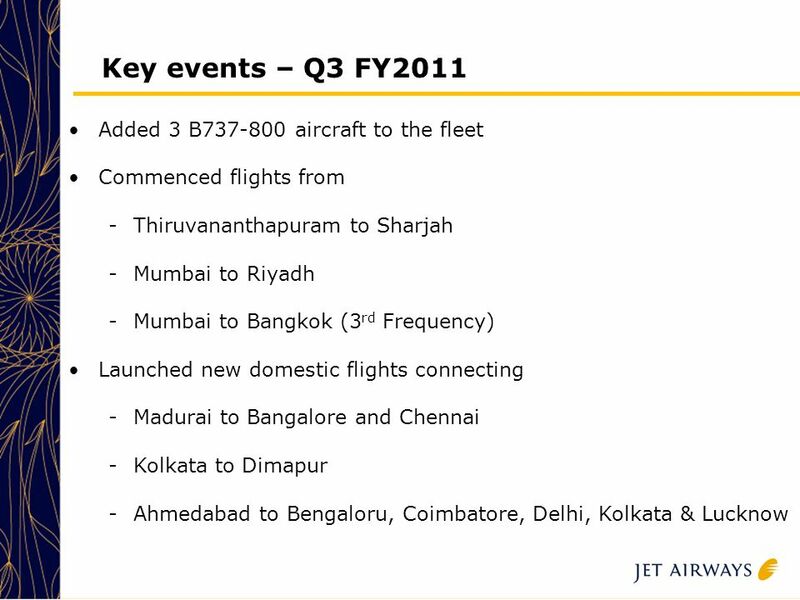 © Infosys Technologies Limited Europe update B. G. Srinivas Senior Vice President and Unit Head - EMEA. 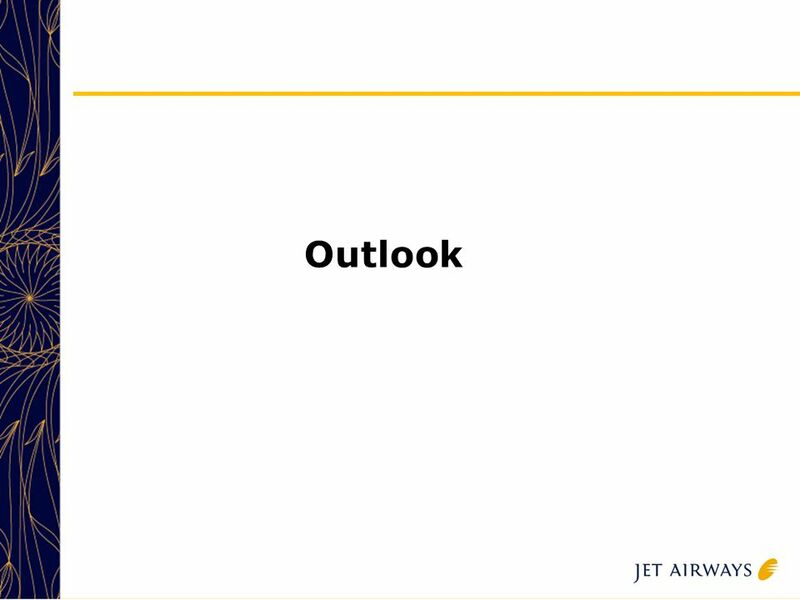 1 Investor Presentation FY Ending - Mar SAFE HARBOUR STATEMENT Certain statements in this presentation concerning our future growth prospects. 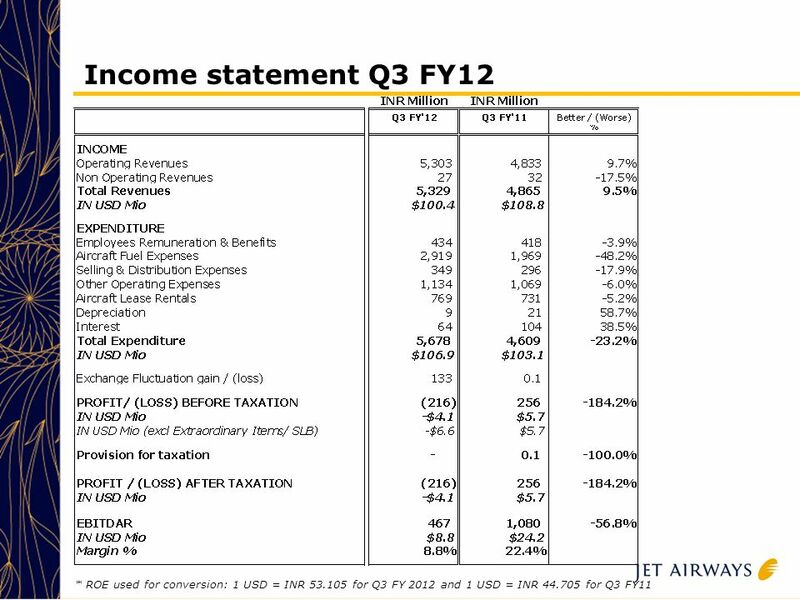 © Infosys Technologies Limited Performance of Infosys for the Third Quarter ended December 31, 2003 Nandan M. NilekaniS. 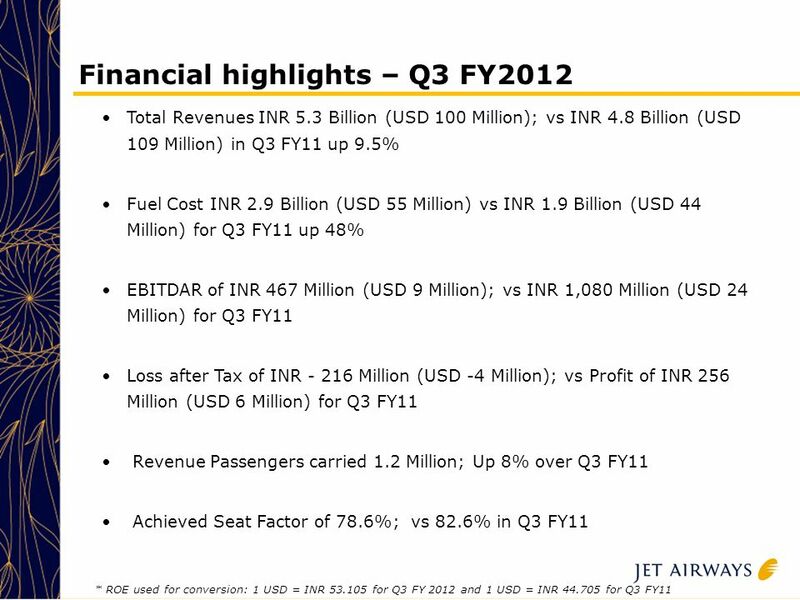 Gopalakrishnan Chief. 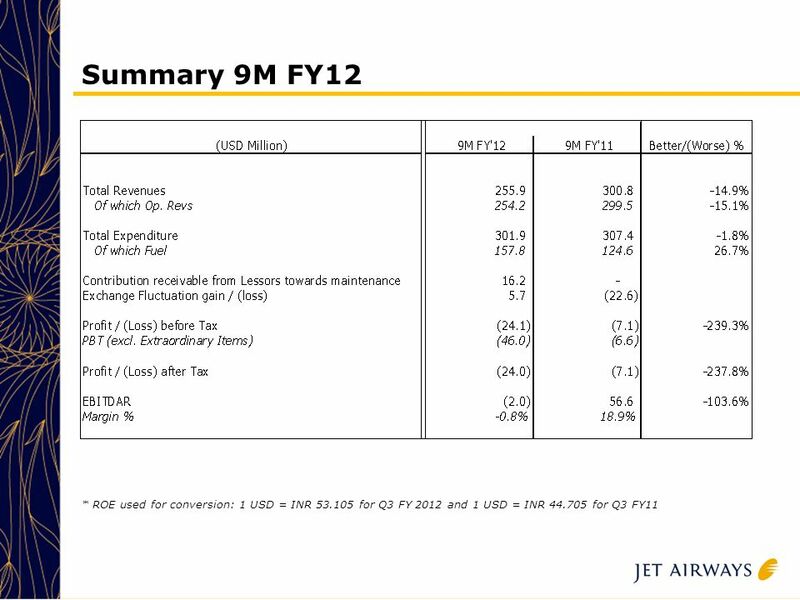 1 ICON Quarter 2, 2009 Results ended June 30, 2009 Dr. John Climax, Chairman Mr. Peter Gray, CEO Mr. Ciaran Murray, CFO. 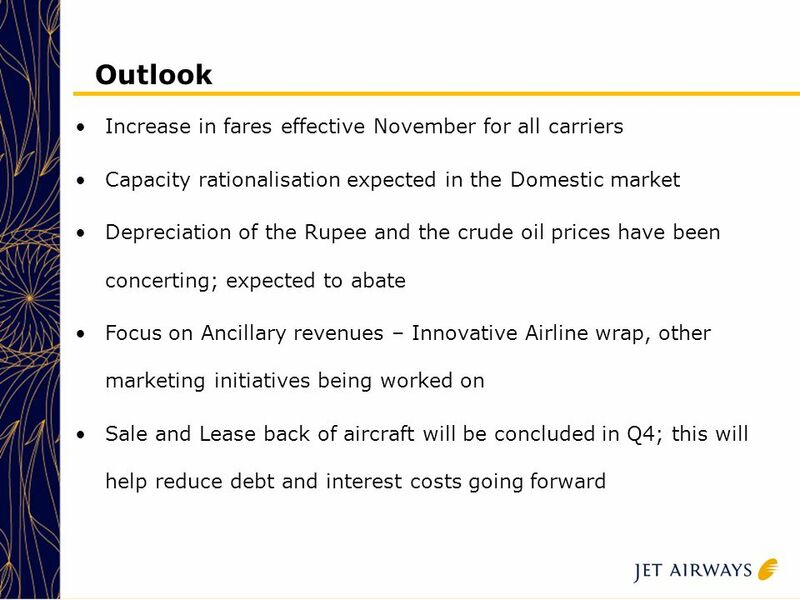 FY 2004, Quarter III 18 th October Disclaimer Certain statements on this presentation concerning our future growth prospects are forward-looking. 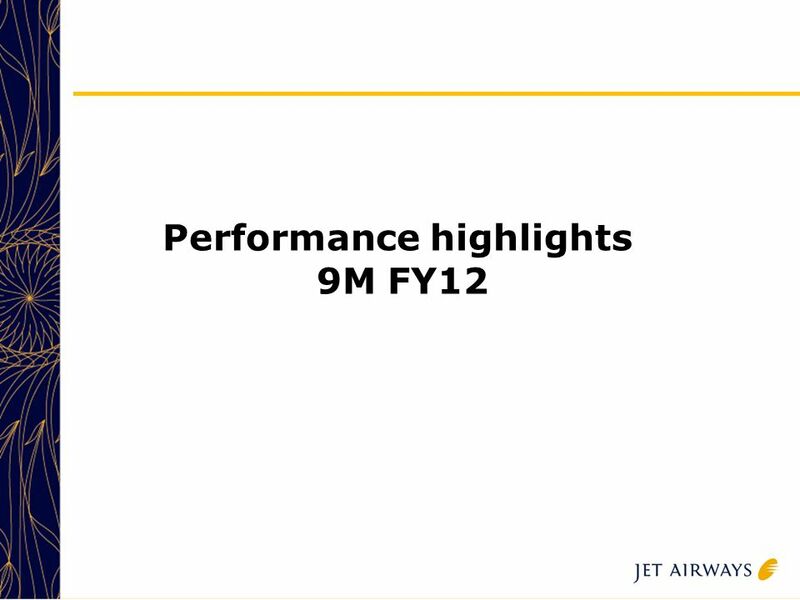 © Infosys Technologies Limited Performance of Infosys for the First Quarter ended June 30, 2004 Nandan M. Nilekani S.Gopalakrishnan Chief Executive. 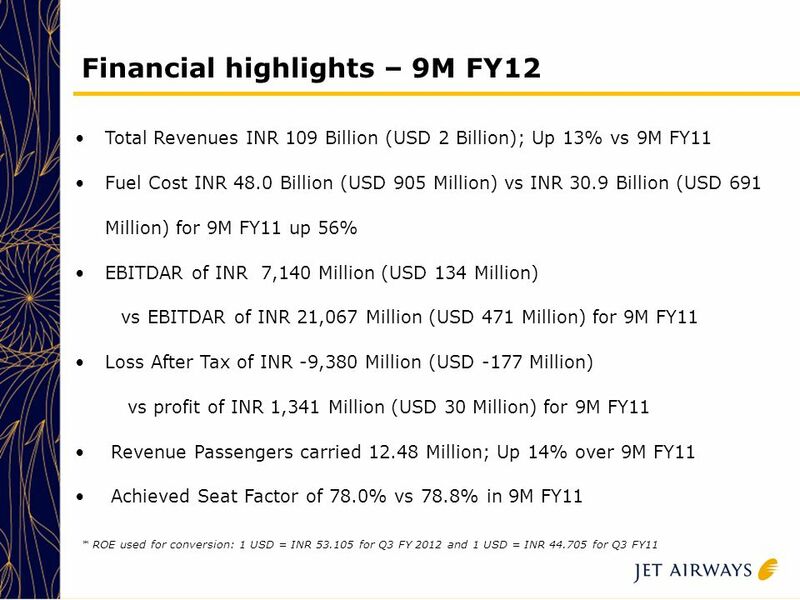 This presentation contains certain forward looking statements concerning Kalyani Steels future business prospects and business profitability, which are. 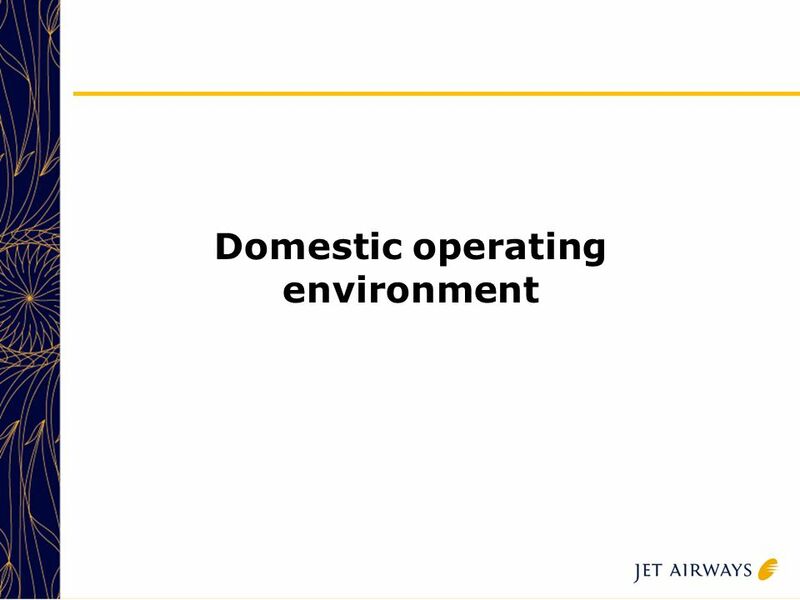 Aviation Industry Perspective Future Impact of New Lease Accounting Guidance Bill Solomon Senior Manager – Technical Accounting 1 BOEING CAPITAL CORPORATION. 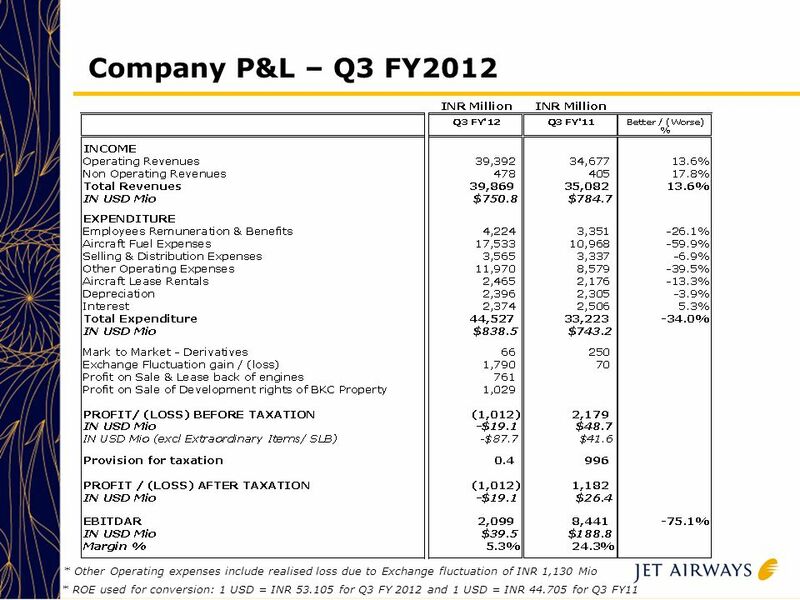 Tyson Foods By: Sophia Toy. 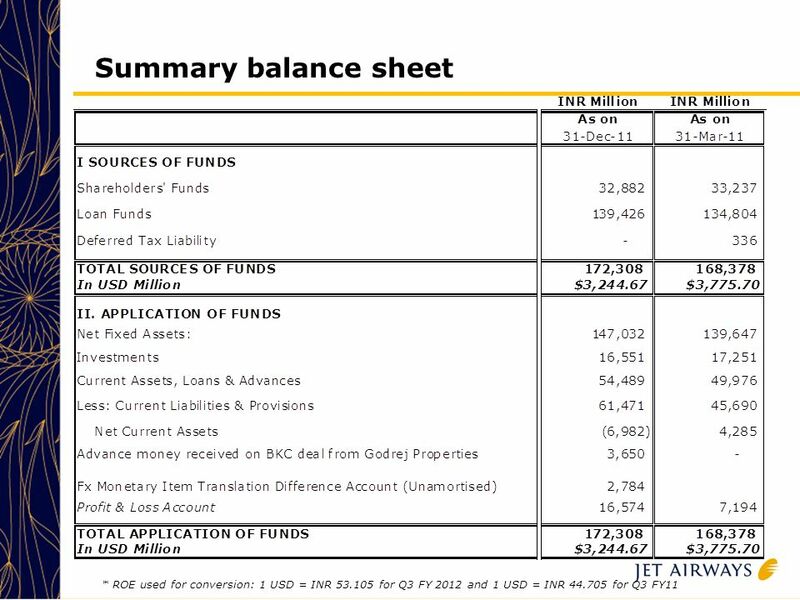 History  John Tyson  Springdale, Arkansas  Fortune 500  2 nd largest food production. 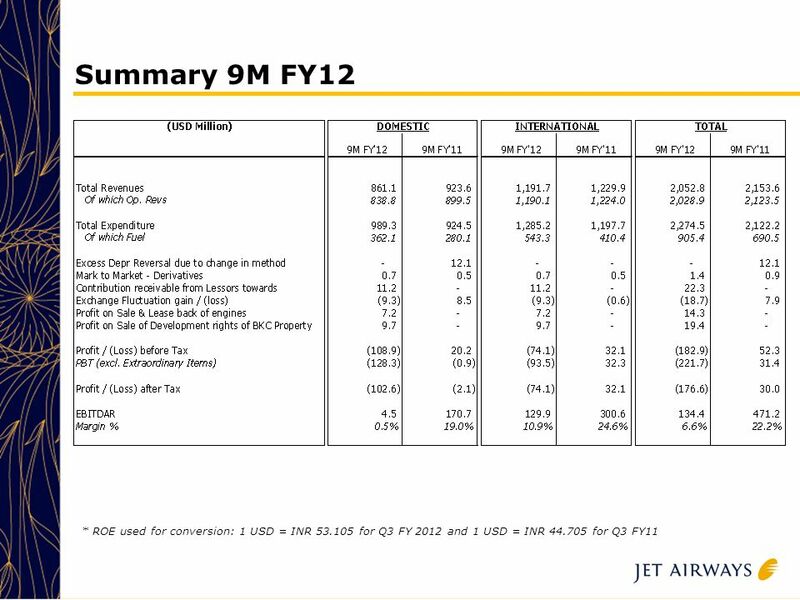 © Infosys Technologies Limited Building Scalability With Differentiation S. Gopalakrishnan Chief Operating Officer and Deputy Managing Director. 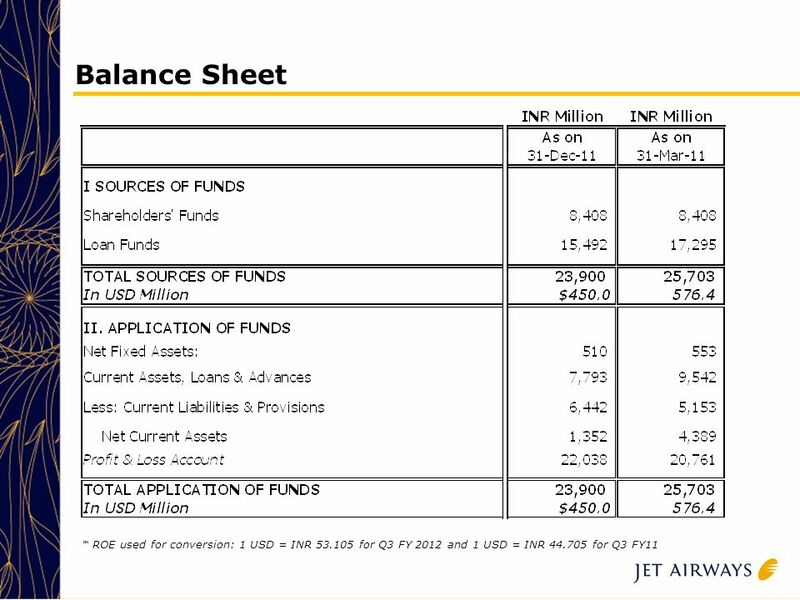 © 2009 Cengage Learning/South-Western Financial Statement and Cash Flow Analysis Chapter 2. 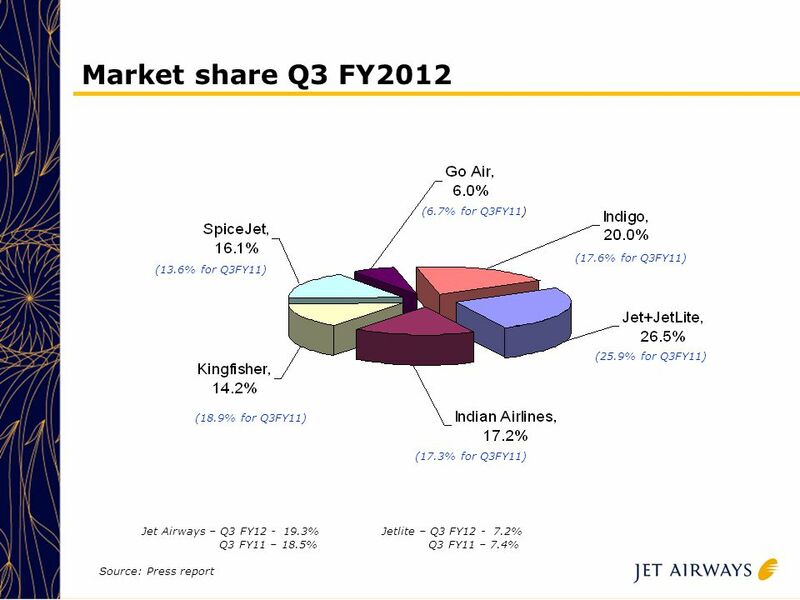 © Infosys Technologies Limited Consulting Services Paul Cole Managing Director – Infosys Consulting. 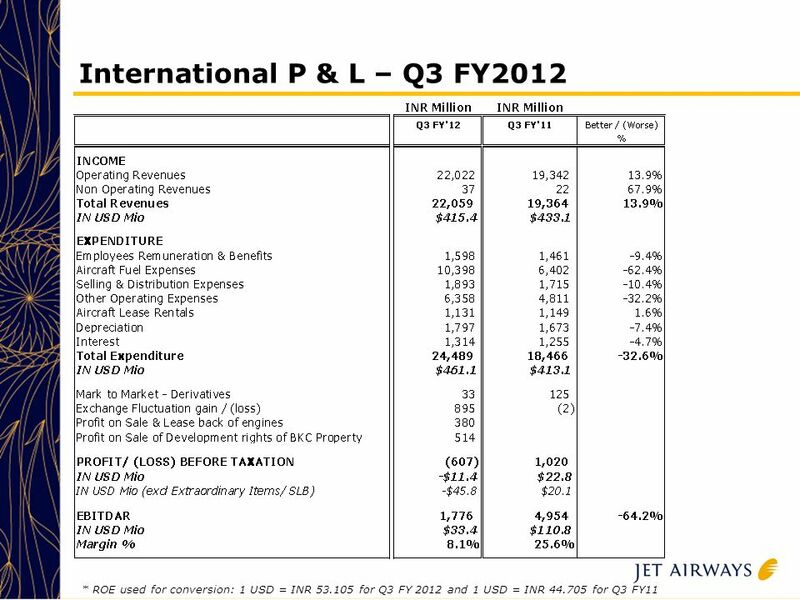 © Infosys Technologies Limited Insurance, Healthcare & Life Sciences (IHL) Eric Paternoster Vice President. 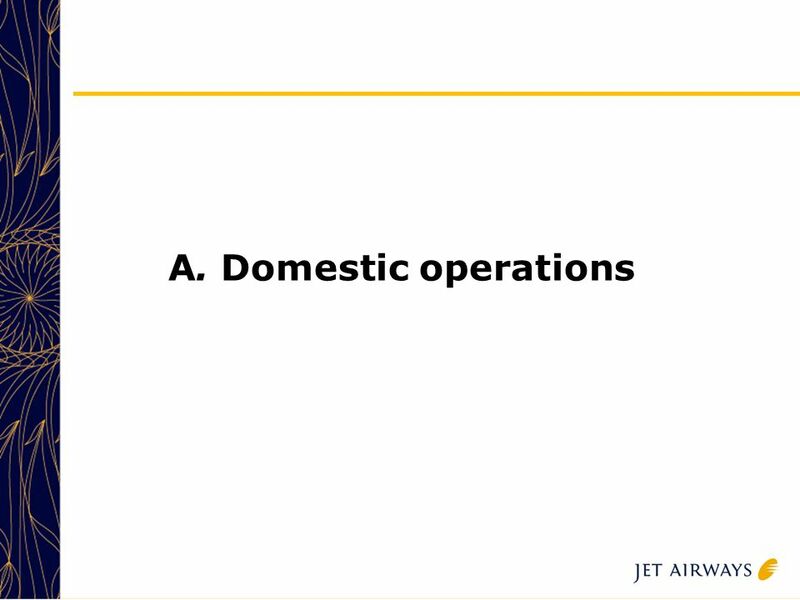 1 Strategies for Business Excellence Competency-based HR Practices Strategies for Business Excellence Competency-based HR Practices Hema Ravichandar Senior.